Kids love drawing with sidewalk chalk, but what can you do with all the bits left over. Here's an idea of how to combine the sidewalk chalk with sand to create something new. Kids love playing in the sand. These ideas will give your children some new ideas for playing with sand, inside our outside. 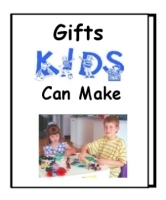 For more ideas, check the free kids crafts library. What do you do with the bits of sidewalk chalk that the kids never seem to use up? Smash into pieces and let kids create colorful mosaic pictures. Combine with playing in sandbox and let the colorful pieces be 'sprinkles' on sand cakes. You can even use shavings to create colorful 'icing' between or on top of 'layer' cakes. Using dry chalk and dry sand, pour a small pile of sand onto a sidewalk. 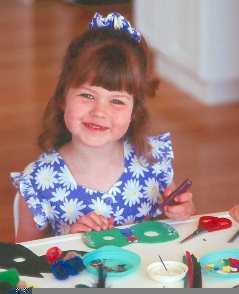 Rub the chalk into the sand to make colored sand--mixing and rubbing the chalk dust with the sand to tint it. Then, gather up the piles of colored chalk. Dampen sand slightly with water. Use the colors then inside sand molds--such as we have little plastic sand molds in shape of turtle, fish, scallop shell--to create colorful sand creations. We use bits of the many different colors in bottom of mold, then top off with plain wet sand, invert it to create the sand form, and the colors make a 'rainbow' creation. Thanks to Dina K. for sending in these project ideas. Looking for some interesting beach toys? How about a science experiment with sand? Send us a note if you have any questions. Let us know your ideas for sand projects, and we'll share them with other visitors. Every parent must use their own judgment in choosing which activities are safe for their own children. While Creative Kids at Home makes every effort to provide activity ideas that are safe and fun for children it is your responsibility to choose the activities that are safe in your own home.